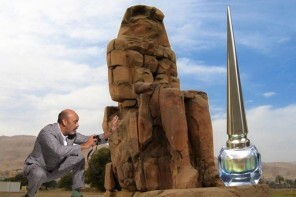 Christian Louboutin is already well known for his dramatic footwear and accessories, not to mention his rapidly expanding line of make-up. 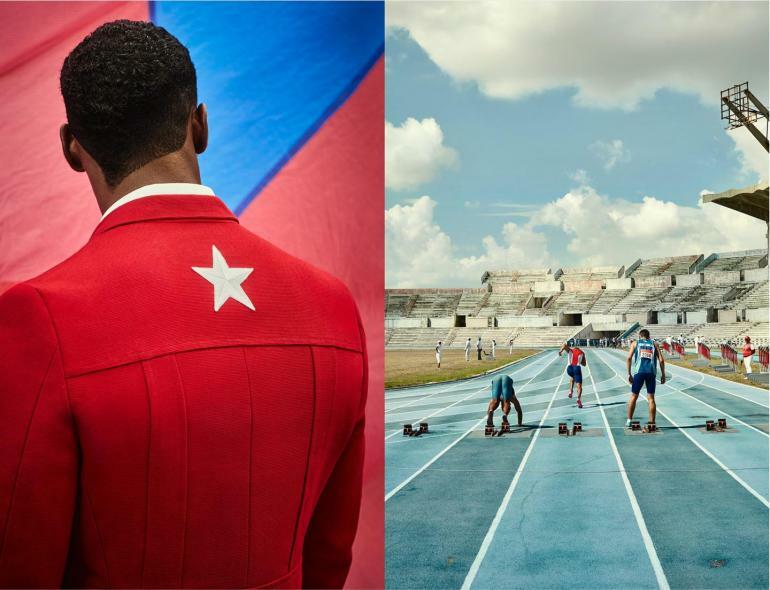 But his latest venture is an unexpected surprise: he has co-designed the non-performance uniforms for Cuba’s Olympic contingent. Together with former professional handball player, Henri Tai, the designer created a chic ensemble in bright red, beige and black. Henri Tai is no design novice himself, he is the founder of SportyHenri.com an e-commerce venture dedicated to creating stylish sportswear for men. The uniforms champion the spirit and heritage of the island country. The two designers worked closely with current Olympians to provide the most custom fits and also incorporated feedback from former Olympians to create a collection that was not only stylish and athletic but also comfortable. “It’s that elegance and the fluidity of movement of someone who is so in control of their body that fascinates me. At the Olympics, it is as if they put on their performance gear and simultaneously turn into superheroes that defy gravity, defy time, and defy all the laws of physics. We designed the celebratory outfit for the moment they turn back into humans, still in that glory moment, still in their light but heading back to the real world,” said Louboutin. “The clothes need to fit spectacular athletic bodies – they are definitely not sample size or average. You can see this in the lengths and the varying proportions. It was our mission to make the clothes looks fantastic, but equally tailor-made and closely-fitted,” Tai added. 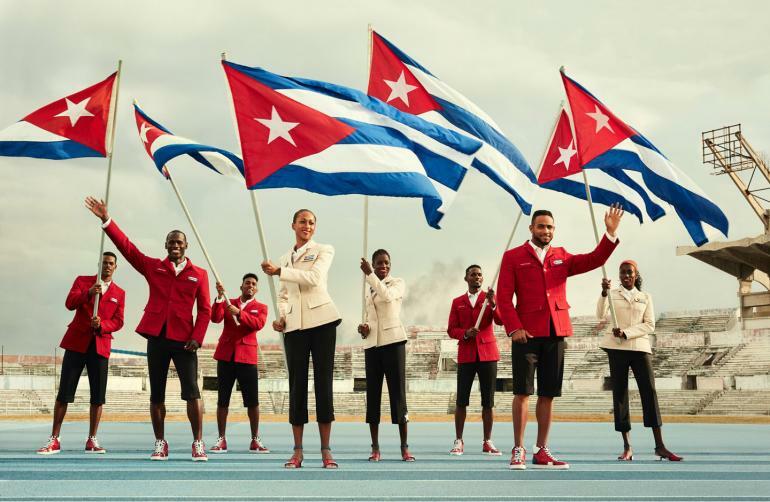 The collection includes tailored jackets for the athletes in red for men and beige for women, they feature the Cuban flag on the breast pocket and a lucky five point star on the back. The jackets can be worn with inter-changeable trousers, shorts and skirts. Of course, it wouldn’t be a Louboutin collection without some exquisite shoes! 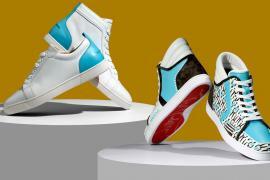 Female athletes will sport kitten heeled sandals in red, navy and white while men can choose from high top or loafer style sneakers in the same colors. 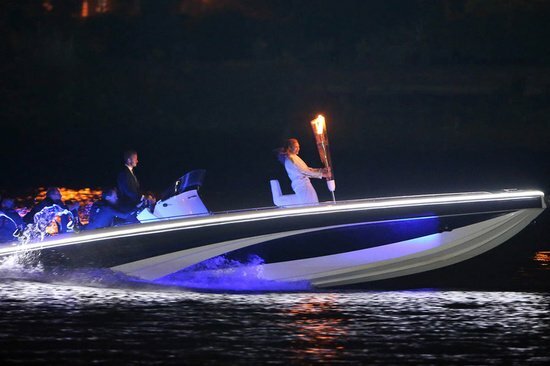 Can’t get enough Olympic style? 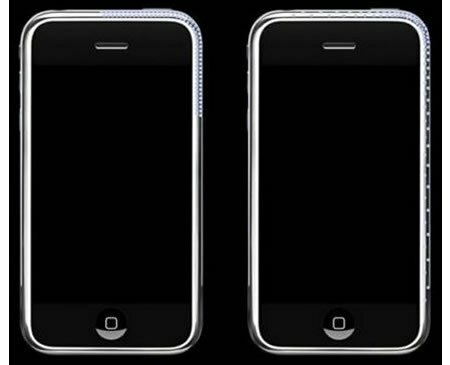 Check out French and British sports stars who will also be sporting stylish designer threads at the Olympics this year.